Time slowly erases the traces of those held in North Korea. The longer they’re there, the easier it is to forget them. Their families, reluctant to invest more psychic energy on those for whom they know the North Koreans have no mercy, give up the quest. Hwang’s father is Hwang Won, who’s been in North Korea ever since North Korean goons hijacked a Korean Air passenger plane on a domestic flight with 50 people on board in December 1969. Hwang was two at the time and has no memory of his father, a producer for MBC, but still has a black-and-white photo that shows him smiling as his father embraces him and a cousin. Alone among family members of the 11 whom North Korea never returned, Hwang refuses to accept indifferent shrugs and advice to let it go. Over the years, crusading on his father’s behalf, Hwang’s anger has only increased while one government in Seoul after another advised him against making a fuss that would only enrage the North Koreans. Bureaucrats in the 1970’s, at the height of the rule of hard-line President Park Chung-Hee, warned frantic family members they were only “making matters worse” and “endangering their loved ones in North Korea” if they pressed their demands. We can do nothing, they were told, while the North Koreans persisted in saying the 11, including the pilot, co-pilot and two hostesses, wanted to stay where they were. Kim Dae-Jung, as president from 1998 to 2003, had his chance. It was during his June 2000 summit in Pyongyang with Kim Jong-Il that DJ agreed to return 63 North Koreans who’d been imprisoned in the South as spies for the North. Might DJ not have said, we’ll let them go if you return our South Koreans? The number would have been high ― hundreds of fishermen picked up when their boats strayed into North Korean waters, prisoners from the Korean War, the 11 from the hijacking and others kidnapped from South Korea and Europe. Might DJ at least have bargained for the release of some of them? It is a sad legacy of DJ’s presidency that not for a moment did he consider such an exchange. The argument was always the same. Kim Jong-Il would never agree to anything of the sort. In fact, North Korea’s “Dear Leader” might have sent DJ empty-handed back to Seoul if he’d refused to free the 63 ex-spies unconditionally. Instead, they all returned to Pyongyang while the summit wound up with a statement of reconciliation and the promise of reunions of families divided by the Korean War. Ultimately, however, the Sunshine policy was a failure. North Korea conducted its first nuclear test in 2006 during the presidency of DJ’s successor, Roh Moo-Hyun. Also an ardent Sunshiner, Roh visited Kim Jong-Il near the end of his presidency. 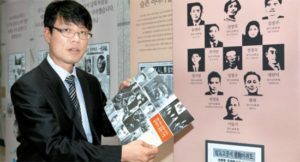 Again, the topic of South Korean prisoners held in the North never came up. But haven’t the conservative presidents who’ve been in charge since the decade of Sunshine been a little tougher, a little more demanding? What about Park Chung-Hee’s daughter, President Park Geun-Hye? In general, Hwang is disappointed with the attitudes of his countrymen. “I have difficulty dealing with people in the Republic of Korea,” he says. Although Hwang is waging a lonely crusade, he is not entirely alone. He’s got the impassioned support of a group called “Teach North Korean Refugees,” dedicated to teaching English to North Koreans who’ve made it to the South. Casey Lartigue, who runs TNKR, has been staging events at which Hwang advances his cause. Now Hwang wants to visit North Korea to look for his father. Might the North Koreans agree on a father-son reunion? The unification ministry in Seoul refused permission for the trip. Unlikely though it might have seemed for North Korea to say, fine, come for a reunion, we’ll never know for sure what might have been the answer from Pyongyang. Donald Kirk has been covering the ups and downs of North-South Korean confrontation for decades. He’s at kirkdon4343@gmail.com.